Our marketing representative Susan with the first edition press preview! Book will be sent within 24 hours of ordering to the email address given at order time*. 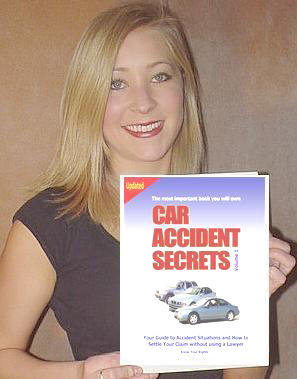 *If you would like the book sent to an address other than the email address you use to order the book send us an email at info@caraccidentsecrets.com and let us know the email address to send the book to.